Seen in the wild, a good, imaginative outfit has the power to stop you in your tracks. It has the potential not simply to inspire, but to flip any observer’s style identity on its head. It leaves you wondering why you ever wrote off giant blanket scarves and trench coats, loud flare pants with chunky dad sneakers, hot pink polos and long sleeves, brightly colored tights with anything and everything. 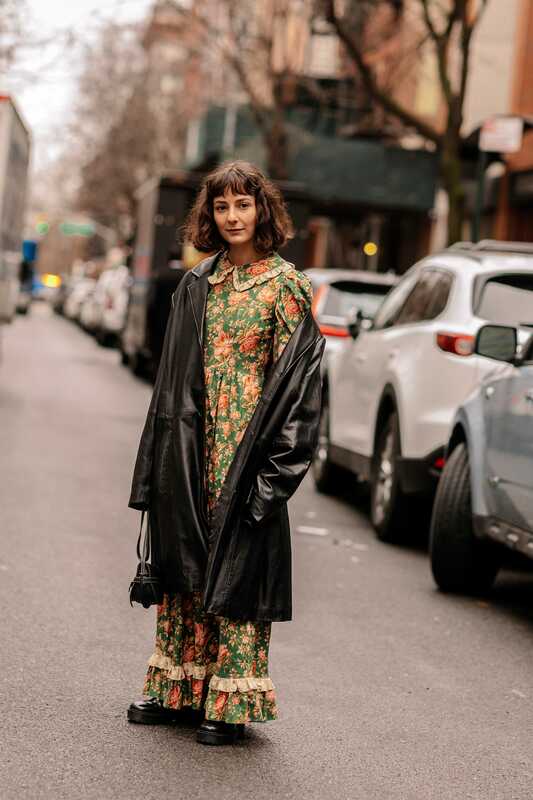 Insert Fashion Month, the biggest, brightest Good Outfit canvas there is, where designers, buyers, editors, stylists, reporters, celebrities and, yes, influencers gather in and around the tents, studios, warehouses and other makeshift showrooms to check out the collections — and we’re checking them out, too. 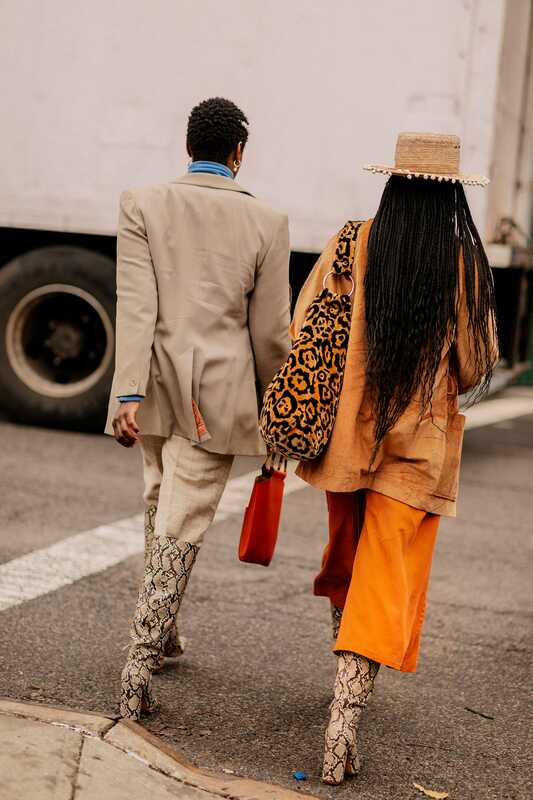 A catwalk is great and all, but a lot of the magic happens on the concrete sidewalks of New York City, where our fashion compatriots are catching a cab, checking their phones or sipping a coffee in between shows. 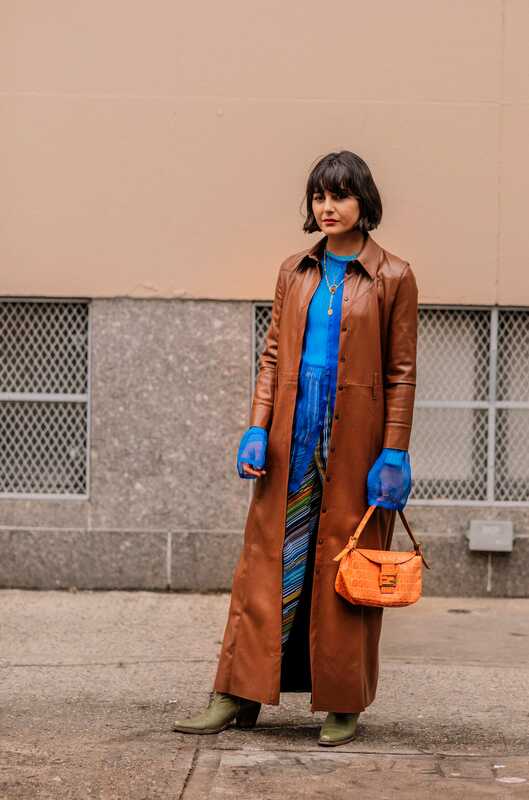 The first few days of New York Fashion Week have been unseasonably warm, enabling the crowd to lighten up on the layering and prematurely dress for spring. And, lucky for us, it’s a sneak peek not only into the trends everyone is about to be wearing in the coming months, but how we’ll be wearing them as well. 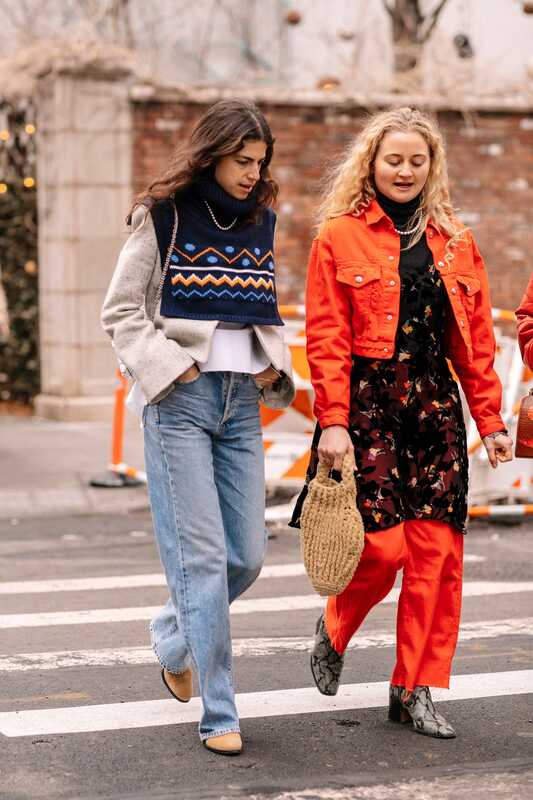 Click through for street style inspiration that will get you through the last leg of winter courtesy of New York Fashion Week. Don’t be a square, wear square necklines. Sleeve styling: it’s a thing and it’s about to be big. Orange you glad this color is having such a moment? The classics (leather coats and high boots) get a subtle update. The prairie dress may say I’m here to hand churn some butter, but the leather trench says don’t mess with me because I will high kick you. Spearmint green is a breath of fresh air. A band that has the attitude of Nirvana but sounds like Fleetwood Mac. 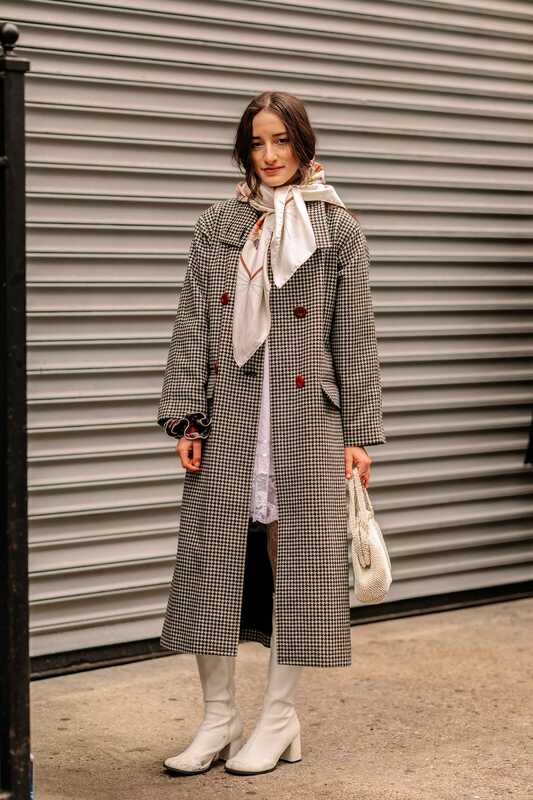 1000000% trying this silk scarf styling ASAP. Same snake print boots, two totally different takes. Knit bibs! Red cords with a dress! Is there anything the Man Repeller girls can’t convince us to try?